This 211sqm* home is located in ever popular Hataitai and has been converted in to 2 x 3 bedroom dwellings, so will have investors calculating their returns in this high demand area. Home owners will also be intrigued by the very generous flat lawn and huge deck facing north/west for the best of the sun an ideal place for kids to play and for families to relax. 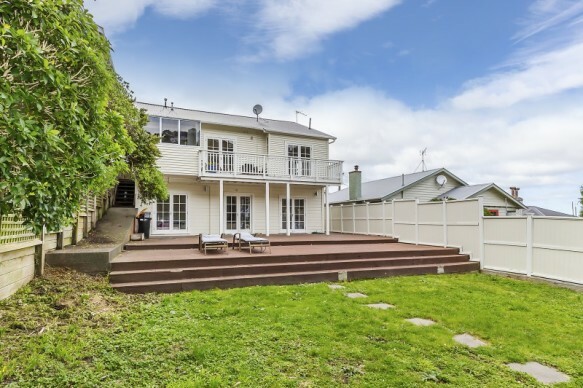 If you have been searching for a top shelf investment in one of Wellington's most popular central suburbs or are looking to create your dream family home close to the school, public transport and with space to spread out, this property is a rare find! Call for an appointment to view. *Please note new Rating Valuations are being issued from the 7-9 November 2018. Please visit wcc.govt.nz or qv.co.nz for further information. We will be updating our listings accordinly to these new figures asap.